If you have had a class at Oceanflow Yoga studio before you may have had the treat of our favourite apres-yoga seasonal drink! 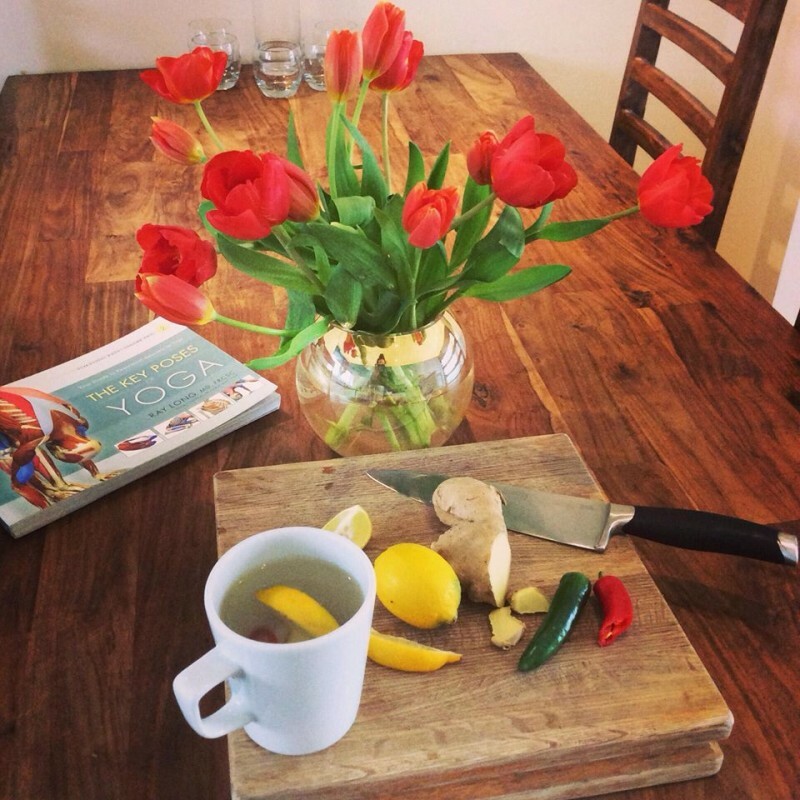 We cut fresh lemon, chilli and ginger, and infuse with hot water to make a refreshing and healing tea. There are so many benefits to this hydrating drink! Just to name a few…. The powerful antioxidants in Lemon helps prevent muscle soreness after a yoga class by reducing lactic acid buildup, Ginger is warming – great for Winter! And increases blood circulation being gentle on our stomachs. Chilli, also warms our blood, increasing metabolism and also generates a feel-good affect throughout our bodies! Stop by soon for a mug after your next yoga class with us!